As the rain gives way to ice and temperatures are predicted to fall as low as -15ºC in some areas of the UK, here are a few top tips to help motorists avoid unnecessary accidents and vehicle repairs. 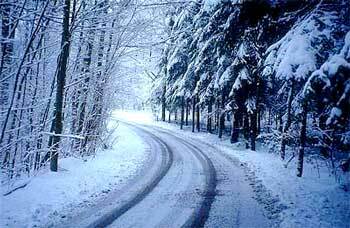 * Listen to traffic news and weather forecasts – avoid unnecessary travel. * Check your battery regularly as frequent us of lights, blowers, wipers, heated seats and windows etc. increase demand. * Remember not to leave your lights on. * Check the pressure and tread depth of your tyres (including the spare). The minimum legal UK tread depth is 1.6mm but it is widely accepted that performance is significantly affected once tread depth dips below 3mm. Also consider fitting winter tyres that perform better in temperatures below 7ºC. * Recognise the increased danger of ice in sub-zero temperatures. Allow greater braking distances – particularly at traffic lights, crossroads and junctions. * Ensure your vehicle is serviced regularly as winter places additional demands upon hoses, drive belts and batteries. * Antifreeze levels should also be checked. * Take extra care on bridges and near shaded areas due to the increased risk of black ice. * Make sure that your vehicle has more than sufficient fuel for your journey to allow for traffic delays. * Accelerate slowly on snowy roads to prevent the formation of ice under the tyres. * Check front and rear lights are clean and working. * Keep screen wash topped up and ensure your windscreen and windows are clean.